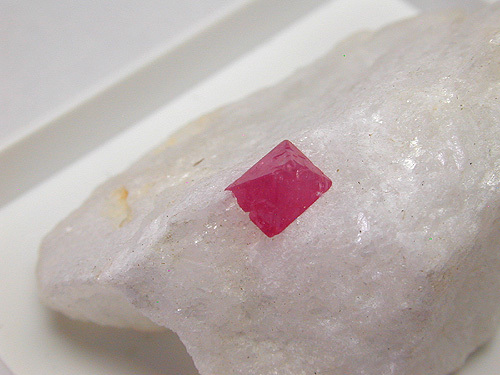 Spinel crystal in Marble Matrix. 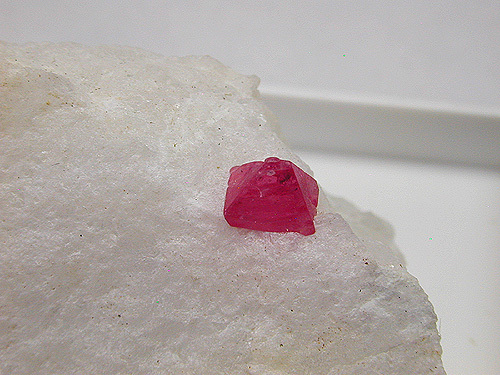 Material Spinel crystal in Marble Matrix. Origin Mogok stone tract, Sagaing District, Mandalay Division, Burma. 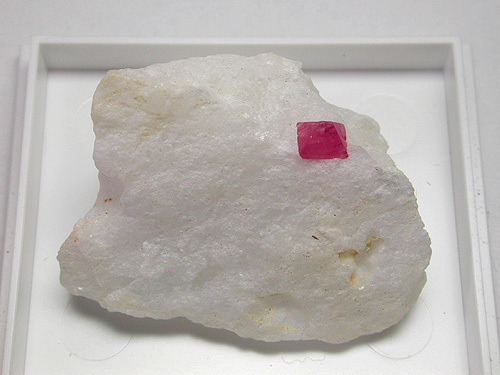 Description Rich red octohedral shaped crystal partially embedded in massive white marble matrix. Dimensions 30mm x 20mm x 12mm Appx.